Most tablets don’t include kickstands. More’s the pity: they’re freakin’ great. But in the face of this absence and obsession with thin cases, we have to make do with kickstands and other tools to keep our tablets upright without holding them. Here are the best. Though the iPad is far and away the most popular tablet around, we’ve selected designs that will work with most Android and Windows-powered tablets as well. The desktop stand is best for those who need a regular hands-free display, the articulated option is for those who need a more flexible, precise position, the kitchen stand adds a wall or cabinet mount option, the mobile kickstand is for those who like to travel with their tablets, and the semi-permanent option is for people whose tablets are more or less always in display mode. We also have a dark horse pick, specifically for those with the later generation of Amazon tablets. Because, well, it’s really cool. Most basic tablet stands are, well, basic: little more than an evolution of the document holder. This model from Stouch expands in that idea with a sturdy gripper instead of a simple tray, which can rotate freely like a good monitor stand. It’s flexible enough to accommodate even the largest iPad Pro model and looks good doing it thanks to an aluminum design that fits in well with Apple hardware. 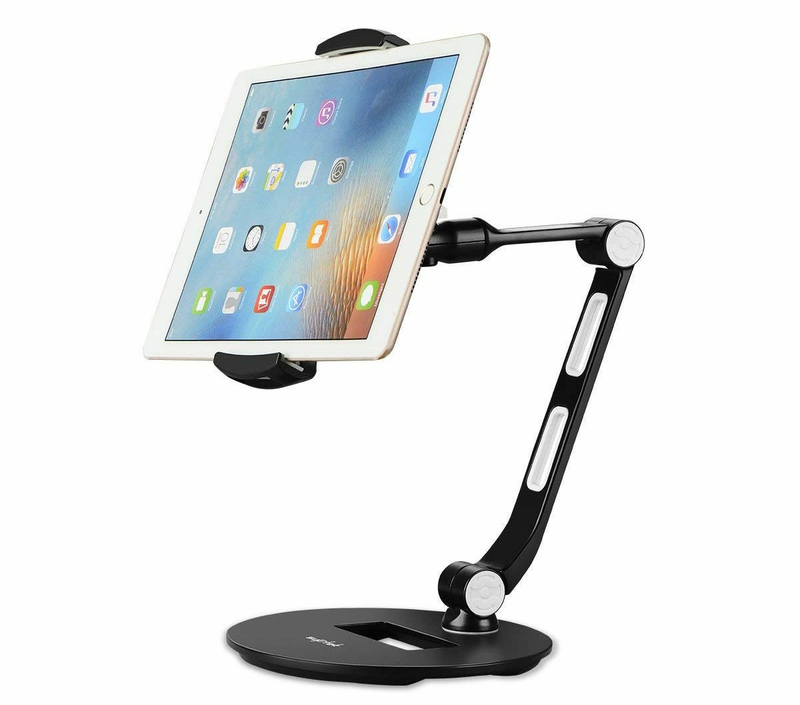 The main arm includes a hinge to adjust the viewing angle and a nice wide base to keep it stable. It’s a little pricier than similar designs, but the extra few dollars are worth it. If you’re using your tablet stand on a counter or standing desk, you’ll need a little more reach. 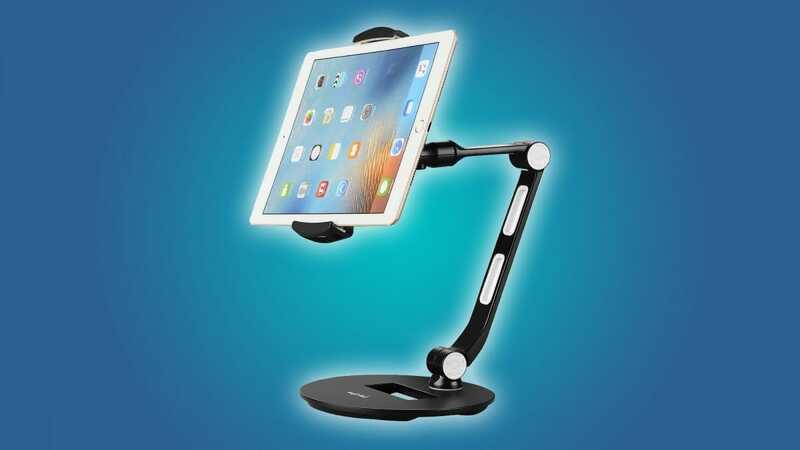 This stand from Suptek includes two articulated arms and cable routing built into the base and bottom gripper, with both arm segments rotating 360 degrees and the tablet tray itself switching from portrait to landscape easily. 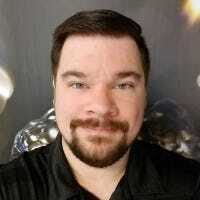 This one can stretch from a large phone to an oversized tablet. The flat-base design will be ideal for most users, but if you’re looking for something semi-permanent, there’s also a desk clamp mount option. Cooks love to use tablets for recipes and other quick cooking info, but having them take up precious counter space is less than ideal. This iKross stand solves that problem: in addition to a standard display mode, it comes with a mount for inserting the legs of the stand into a mount on either a vertical wall or underneath a storage cabinet. 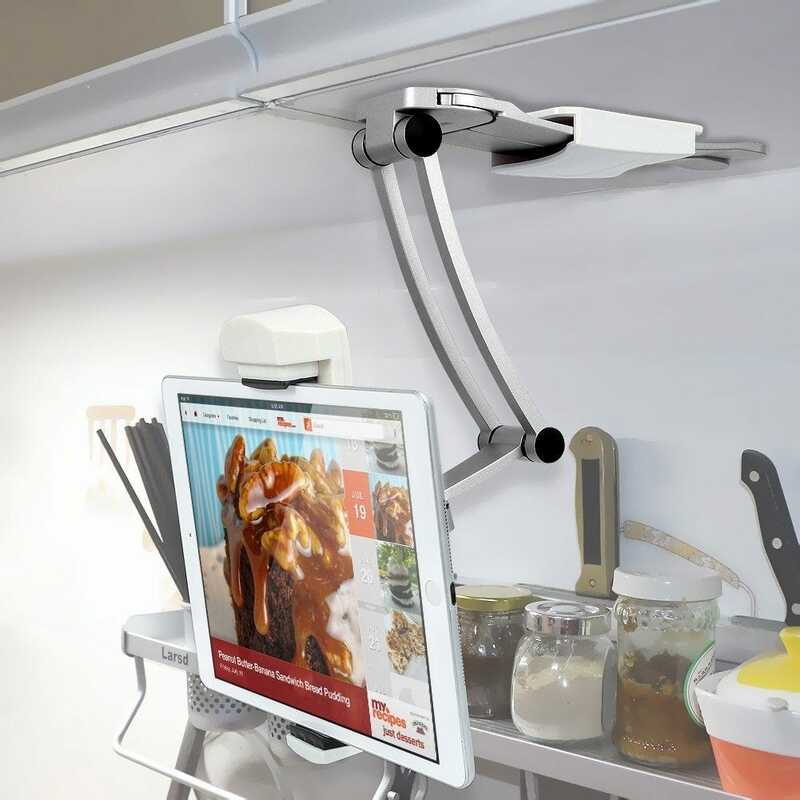 That will keep the tablet screen front and center and away from all your pots and pans. (Note that, as far as I’m aware, neither the stand nor the mount are dishwasher safe.) 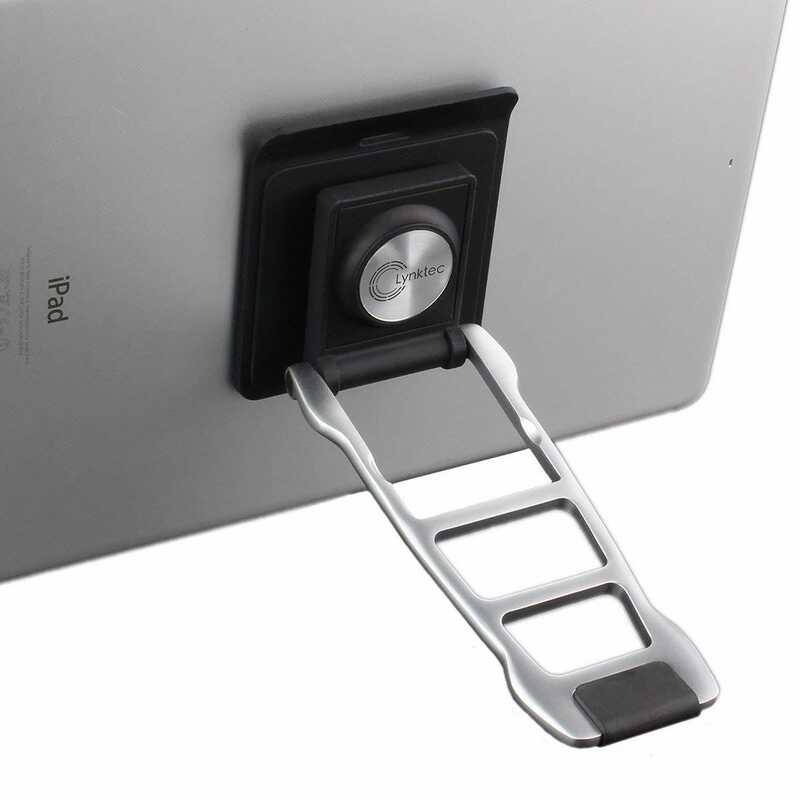 If you have several spots you’d like to mount your tablet, extra mounting plates are also available. 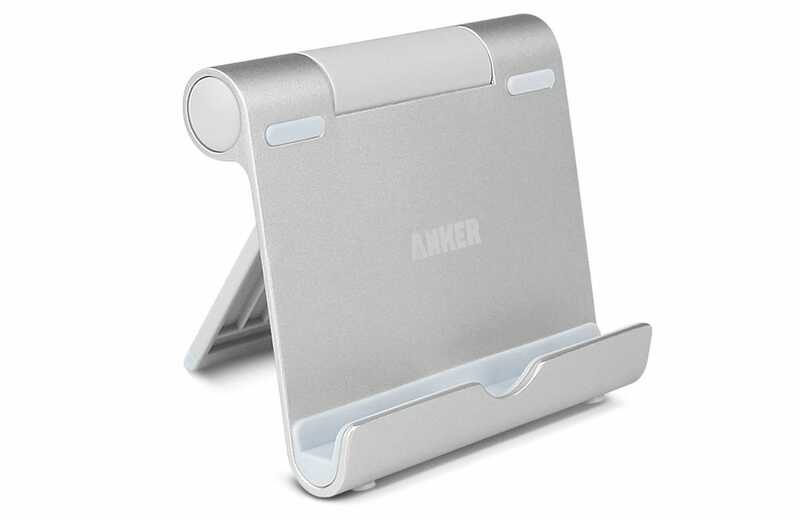 This handy little kickstand from Anker folds down flat to fit easily into a bag or a large pocket. It’s ideal for plane seat trays, hotel nightstands, or wherever you’d like to prop up your tablet for some easy reading or video watching. It’s also surprisingly flexible: while there’s only one point of articulation, the kickstand can fold almost flat without tipping over holding even the heaviest tablet models. Don’t go on a long trip without one. 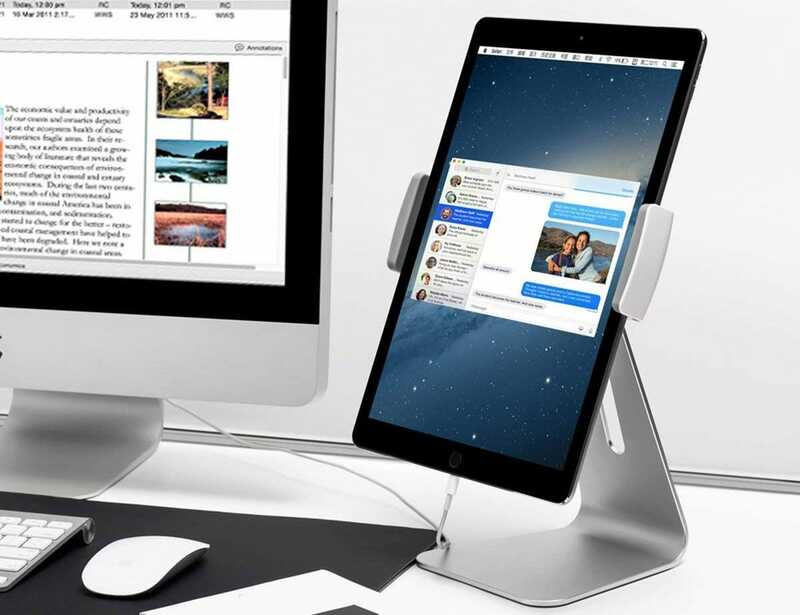 If you’re using your tablet as a hands-free display more or less all of the time and only rarely take it out of your home or office, you might consider this alternative stand solution. The Lynktec 360 Grip Stand uses a non-adhesive sticky pad to put a semi-permanent kickstand to the back of any flat tablet. In addition to holding steady at almost any angle and working on any tablet with a flat back, it rotates for portrait or landscape mode, folds flat, and includes some handy notches for easy gripping. If you ever decide you don’t need it anymore, it can be removed without leaving any residue. The low-cost Kindle Fire tablets are a hit from Amazon, as is the Echo family of smart speakers. So what if you could turn your Kindle Fire into an Echo Show? You can, with this first-party combination stand/wireless charger. 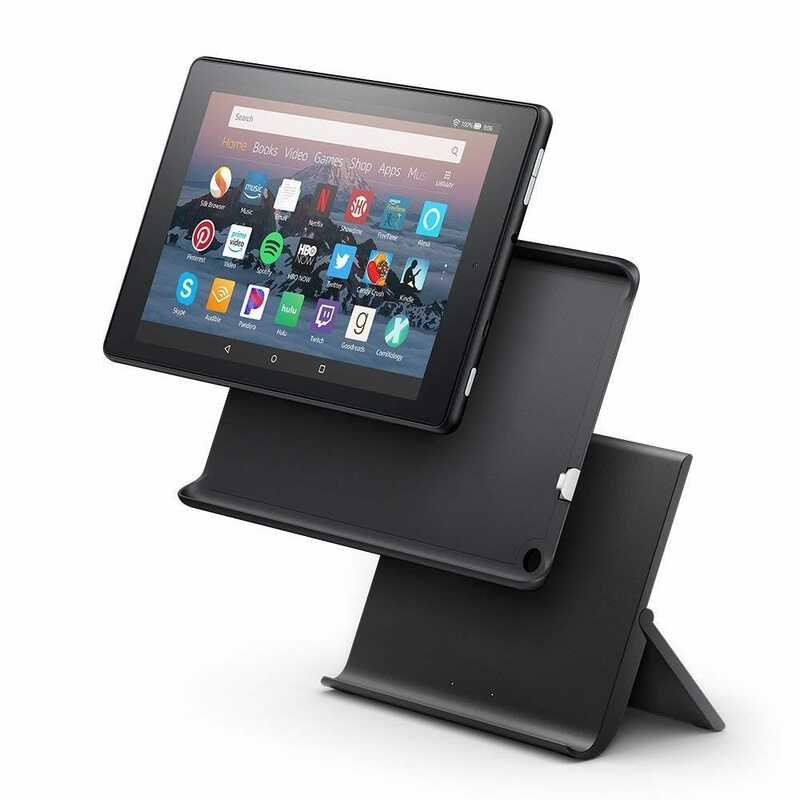 Install the case on the tablet for either the 8-inch or 10-inch Kindle Fire tablet, then place it on the stand, and it turns the tablet into a voice-activated Echo Show smart speaker. The case doubles as a wireless charging cradle. When you take it off, your Kindle Fire is, well, a Kindle Fire again. It’s a great way to extend the functionality of your Amazon gear, especially if you’ve already invested in some smart home hardware. In many games the ability to hear in-game cues clearly is the difference between victory and respawn. A good pair of headphones makes it easy to hear (and play without bugging your housemates). We’ve tracked down the best Xbox One wireless headsets .